The new cookie dough business took everyone’s favorite guilty pleasure and made it safe to eat. Bonus: It delivers! WASHINGTON — This goes out to all the people who were told not to eat raw cookie dough but did it anyway. 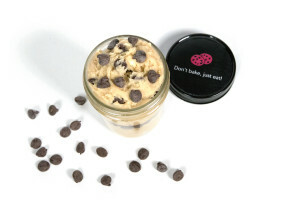 The Cookie Jar DC, a new business out of the Columbia Heights neighborhood, is making egg-free dough you can eat straight out of the jar. Lindsay Larner, a marketing manager by day and a no-bake baker by night, has five regular flavors for sale as well as a “flavor of the month.” If you live within the D.C. delivery area, you can get dough delivered to your door like a pizza. If you’re not that fortunate, she’s got pickup and shipping options as well. 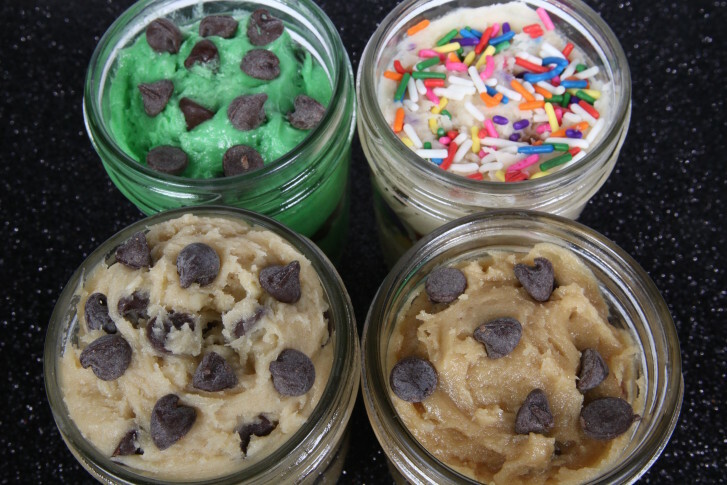 The idea for raw dough came after her original idea, cookie mixes in Mason jars, didn’t quite match the appeal of ready-to-eat foods. “I started thinking, how can I still stay in the world of cookies but do something that’s ready to eat?” Larner said. Memories of sneaking cookie dough out of the fridge in her college sorority house led her to consider raw dough as an option. So go ahead, take a whole spoonful. The Cookie Jar DC has only been around since Feb. 1, so Larner considers the business to still be in the development stage. Before she began distributing the dough, Larner spent a long time perfecting the recipe she created from scratch. Some of you may be wondering, can you bake it too? All the cookie chemistry comes in handy when Larner answers that question. “I wouldn’t serve it at a dinner party, but nothing bad will happen. It’ll just be a very crumbly cookie,” she said. She says the egg she leaves out not only helps the cookie rise, it binds all the ingredients together. Her doughs are missing baking powder and baking soda as well, which she says are important leavening agents. But, bakeable cookie dough isn’t out of the question for the future.